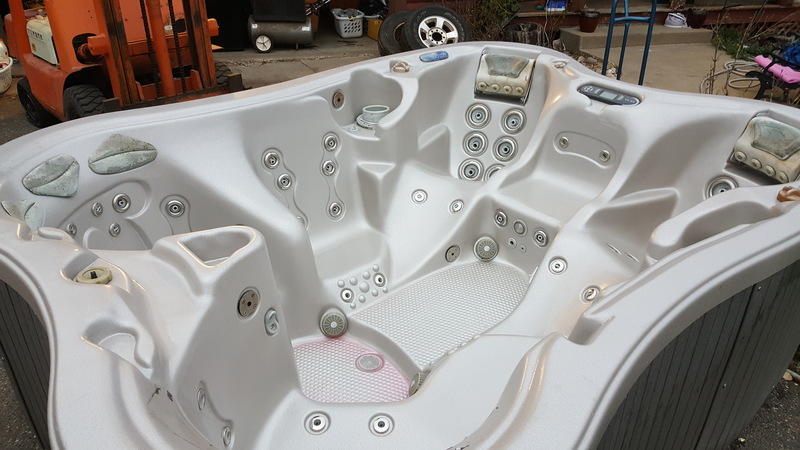 This spa is a 2008 Cal Spa with 52 jets, waterfall, maintenance free skirting and step, Stereo, color changing light, and a cover with lifter bar. It measures 93"×93" and seats 7-8. 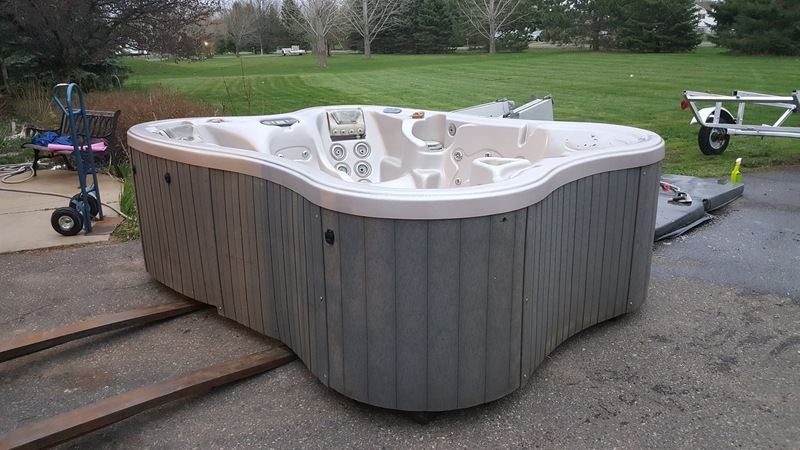 Priced at $3900 with delivery and a 6 month warranty.